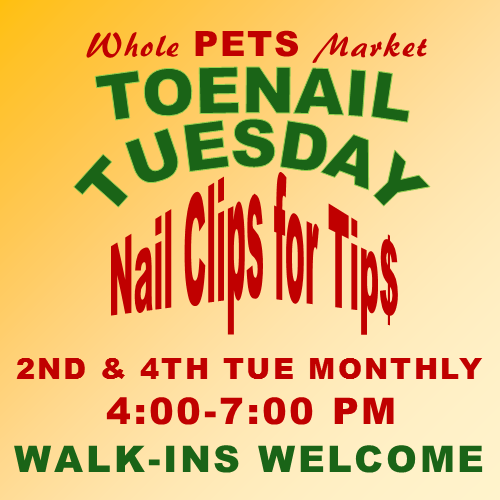 Whole Pets Market offers Toenail Trims for pets every 2nd and 4th Tuesday each month. No cost. No appointment. Just a tip for the volunteer groomer please!! 475 Hwy 71 W. Bastrop by Bealls.